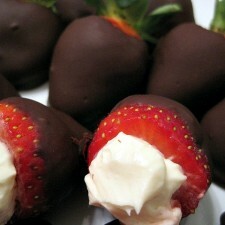 It’s almost Valentine’s Day and it’s time to shower your loved one with lots of chocolate and strawberries. 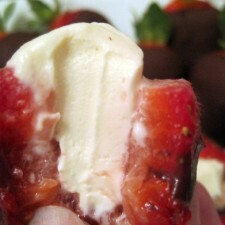 I made these chocolate covered cheesecake stuffed strawberries for Pete and he couldn’t get enough of them. It’s safe to say that I will be making them again for Valentine’s Day. Whip together cream cheese, vanilla, and sugar. Carefully cut out the center of each strawberry. Add cream cheese mixture to a piping bag or ziploc bag with bottom corner cut off. Pipe the filling into the center of each strawberry. Cover the cheesecake end of the strawberry in chopped almonds or any other topping if desired. Place strawberries on a serving dish, cover, and refrigerate. Meanwhile, melt the chocolate in a small metal bowl set over a pan of simmering water. Stir in the coconut oil and heat until dissolved, about 1 minute. Keep chocolate luke warm. 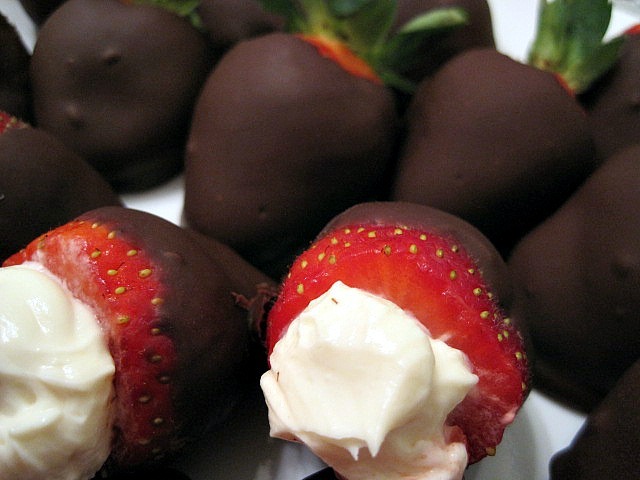 Remove strawberries from refrigerator and dip each strawberry in the chocolate mixture. Place on pan covered with wax paper and refrigerate until chocolate is completely hardened. 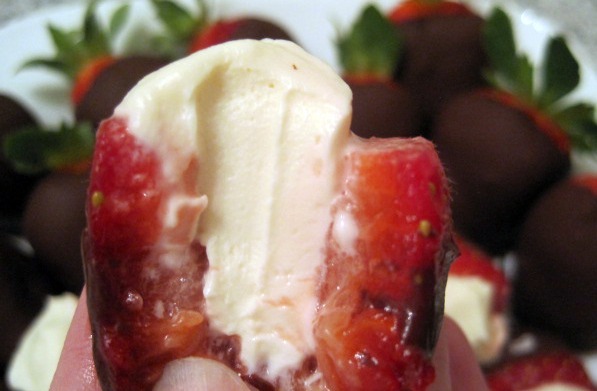 Skip the cheesecake stuffing and just make chocolate covered strawberries the same way as described above. 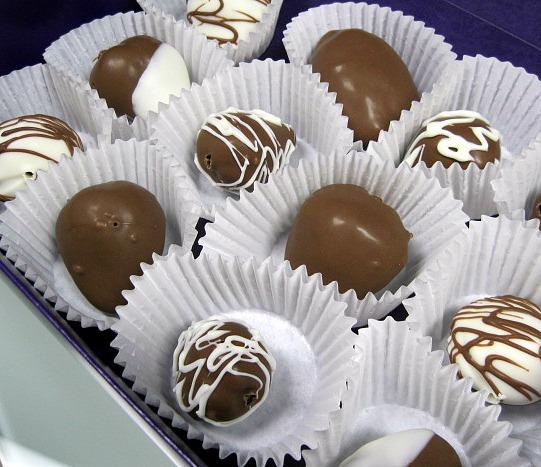 Consider using both white and milk chocolate to mix it up. 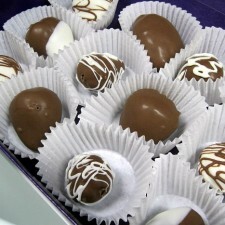 Place in cupcake wrappers after the chocolate is hardened and put in a nice box for your valentine.